Other than a hearty tuna salad sandwich or a budget-friendly salad niçoise , I have done little else with canned tuna. Until now, that is. 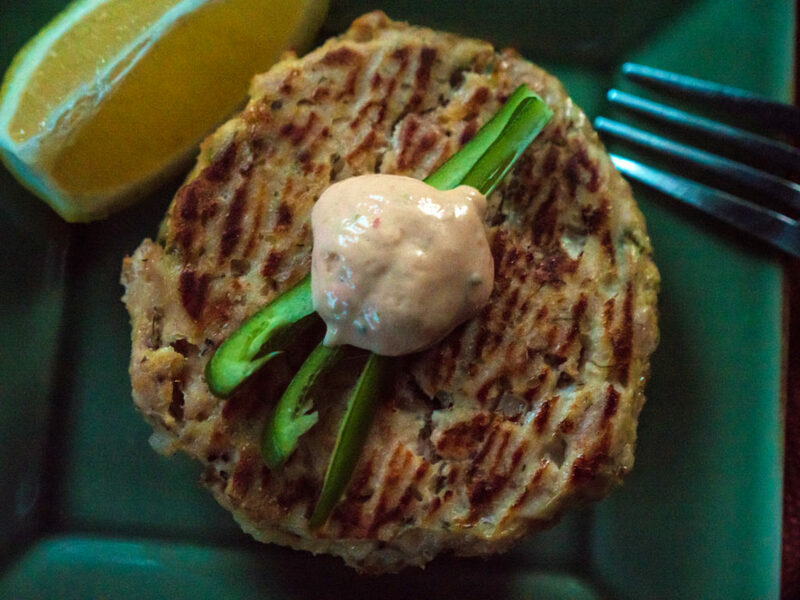 This recipe came about because I was craving crab cakes, but only had canned tuna in the house and was not about to go to the grocery store just for crabmeat. Plus, crab is a little pricey for my typical weeknight-cooking budget. I thought, well, why not make tuna cakes instead? With plenty of fresh herbs and lemon to enliven the flavor of the canned tuna, I surmised it was totally reasonable to swap crab for tuna. Indeed, I was correct. These tuna cakes are pretty healthy too because they are baked not fried. Baking them at a high temperature gives you the crunchy outside, but with plain Greek yogurt mixed into the patty, they don’t dry out on the inside. An added bonus is that the recipe only takes about 30 minutes to make from start to finish. It’s also really flexible to adapt to what you have on hand – no lemons, use limes; no yogurt, use mayo. I now see so much more potential in a humble can of tuna. Instead of craving crab cakes, maybe I’ll start craving tuna cakes. Line a rimmed baking sheet with foil or parchment paper. Set aside. In a medium-sized mixing bowl, mix the drained tuna, onion, Serrano pepper, Greek yogurt, lemon juice and fresh dill. Whisk the egg in a separate small bowl; then stir into the tuna mixture. Add the coconut flour and mix well. Form two patties. If the mixture is too moist and not holding its shape, add more coconut flour until it holds together. Place the two patties on the baking sheet and bake for 20 minutes, flipping the patties halfway through the baking time. The patties should be a golden color on the outside. Top each patty with half a tablespoon of chipotle mayo if desired, and serve immediately.